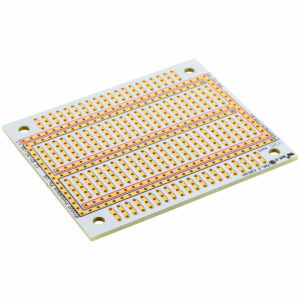 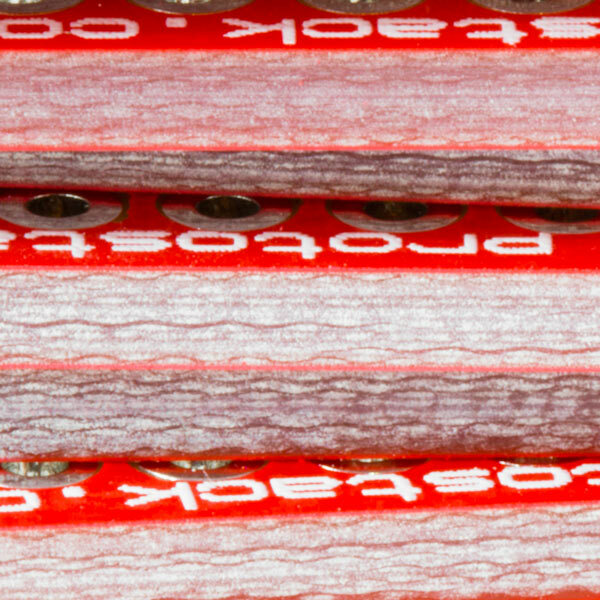 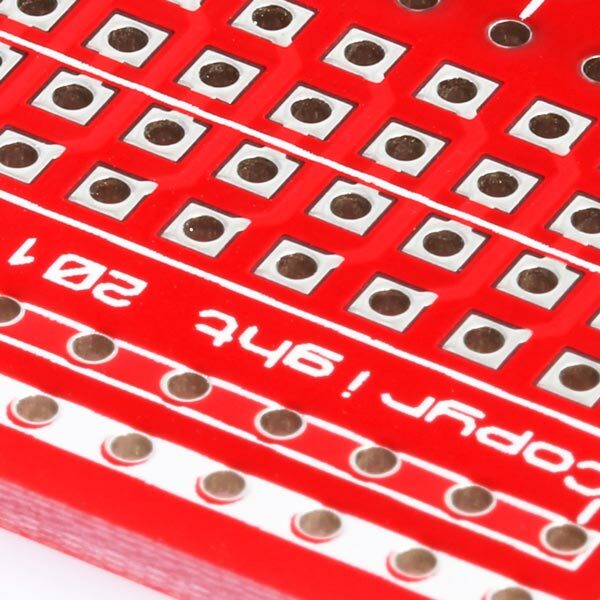 SKU: PB-GE-L2 Category: Prototyping Brand: Protostack. 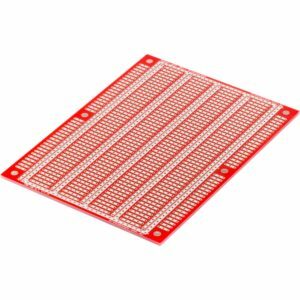 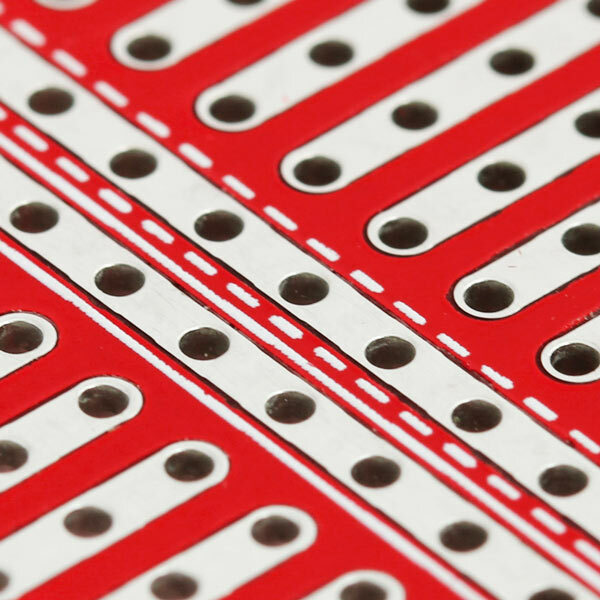 Breadboards are great and so are protoboards that are based on breadboard layouts. 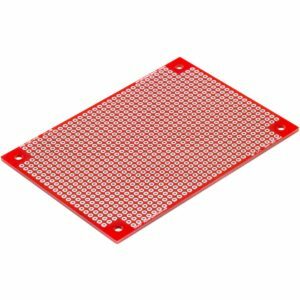 Well most of the time . 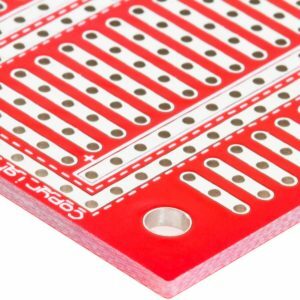 They both have problems when you need to use IDC connectors, dual row headers or any other component that has 2 rows of connectors on a 2.54mm (0.1″) grid. 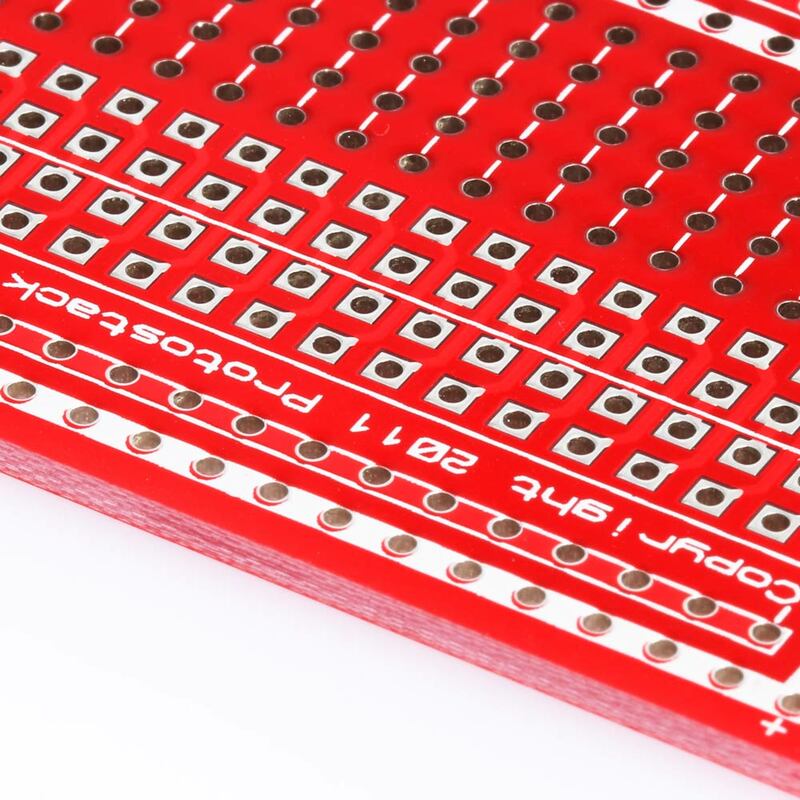 The problem is due to the fact, that you need the connectors on each row to connect to a different terminal strip or protostrip. 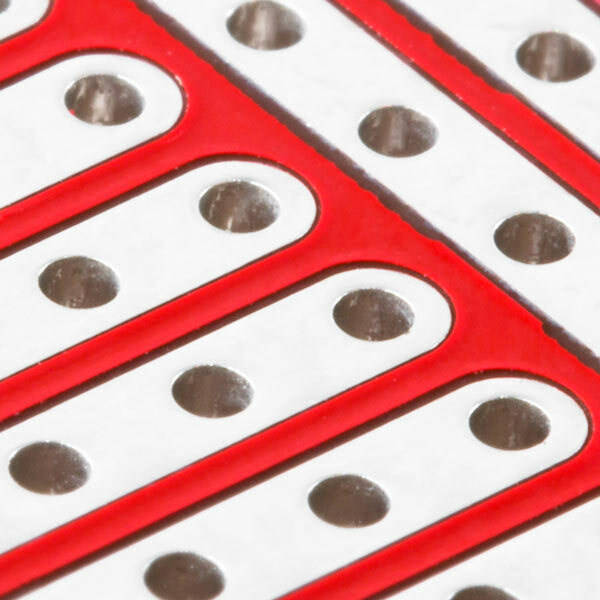 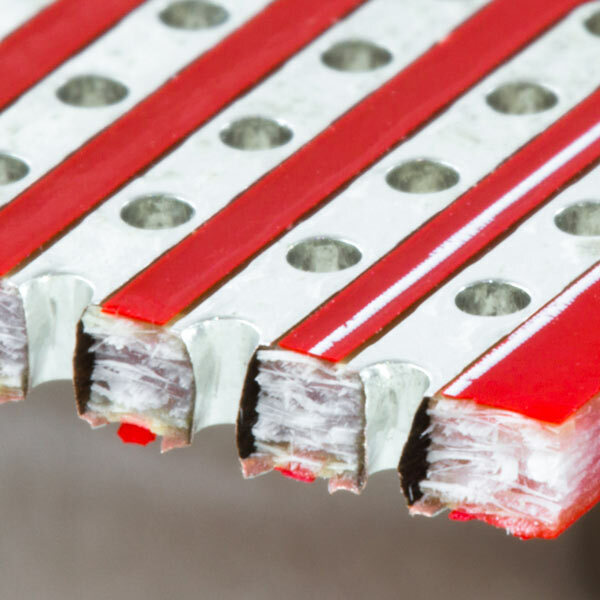 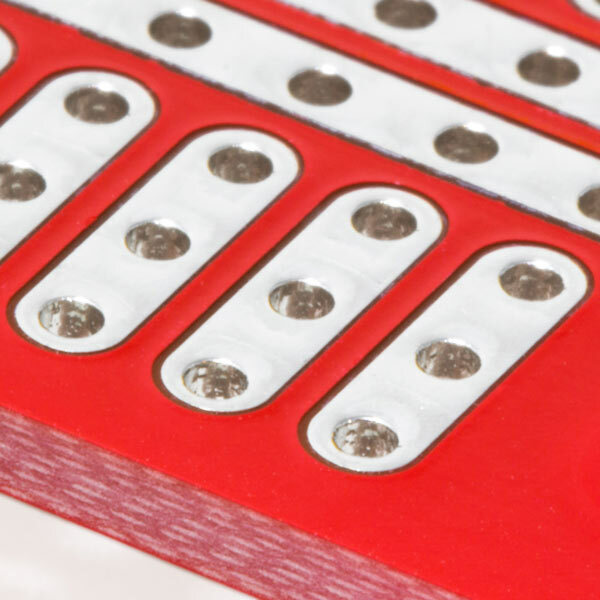 This cannot be done because each set of terminal strips/protostrips is separated by a 0.3″ (7.62mm) gap. 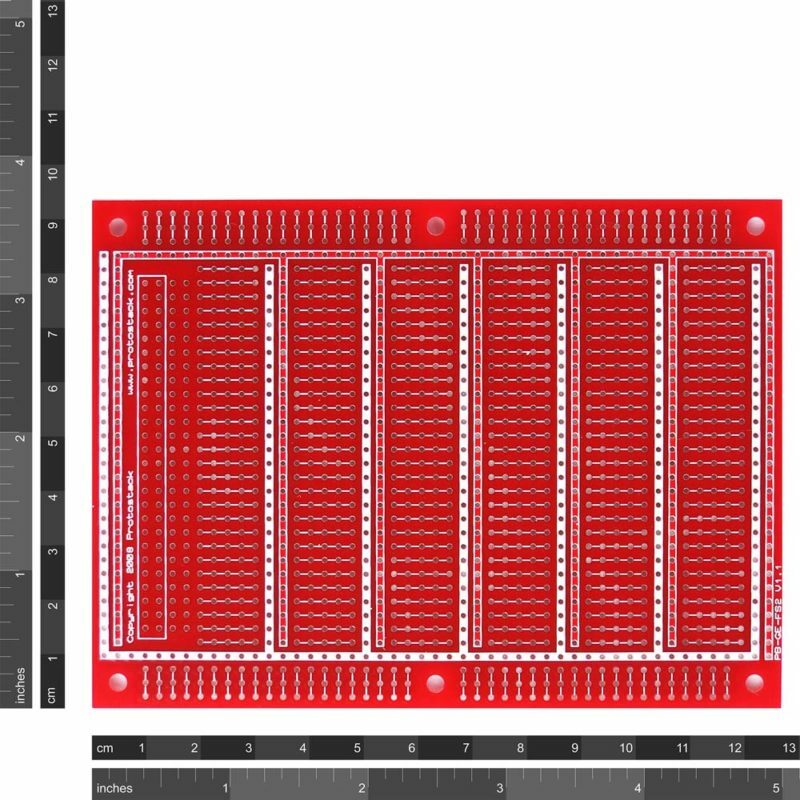 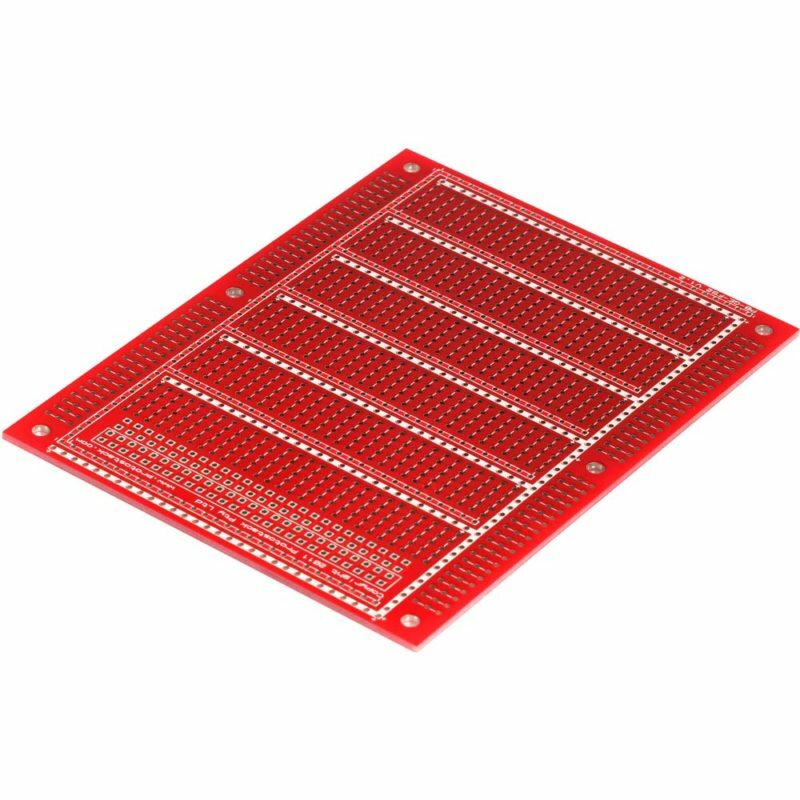 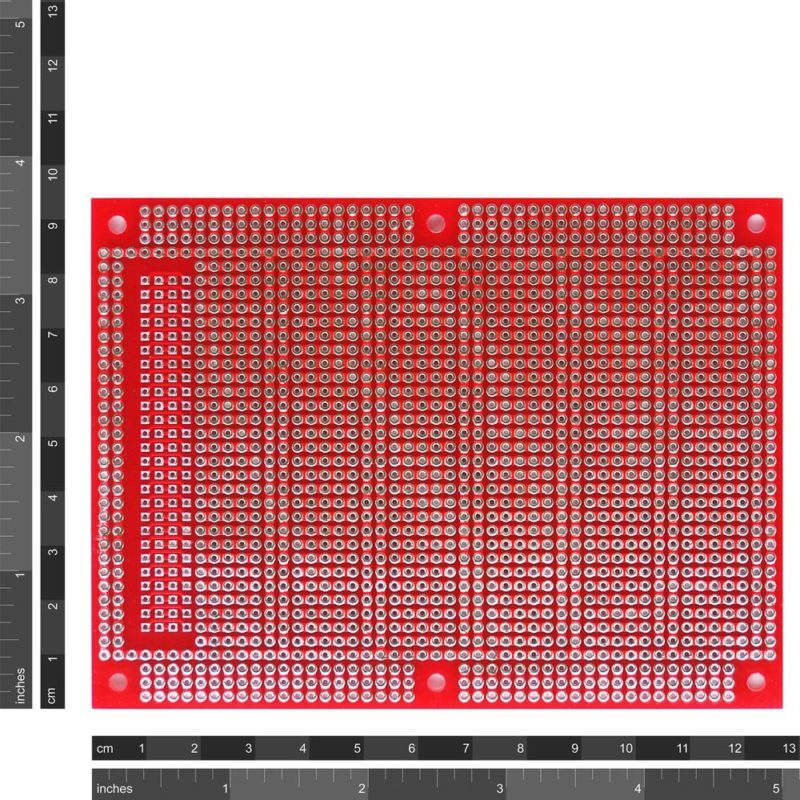 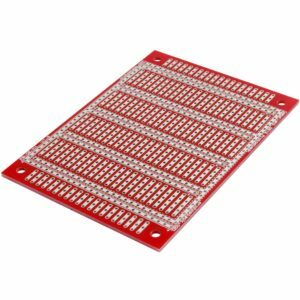 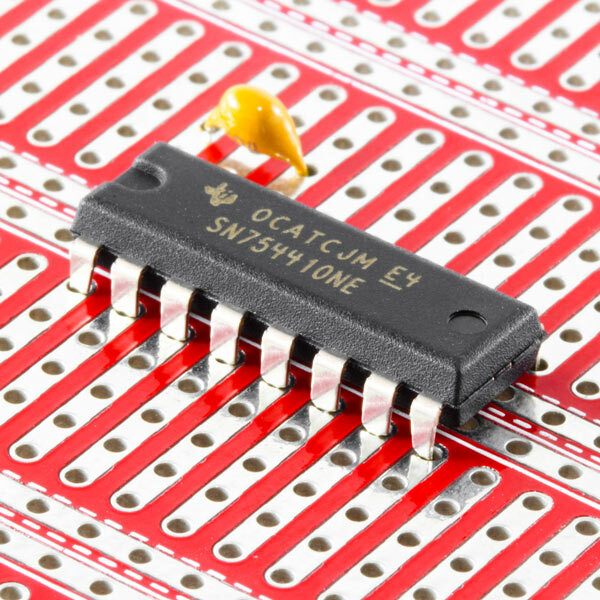 This prototyping board addresses this problem by having an area on one edge of the board, specifically for IDC connectors and dual row headers. 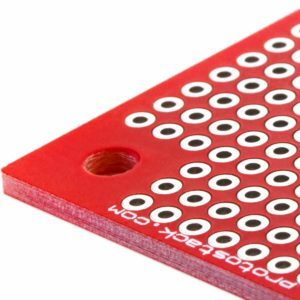 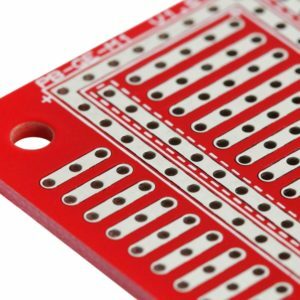 The rest of the board is based on a standard breadboard layout which makes it easy to transfer your designs from a breadboard to a more permanent form. 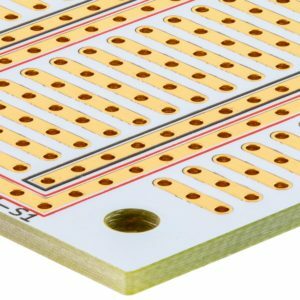 Because of its form factor, it can be stacked with other small, medium or large protostack boards. 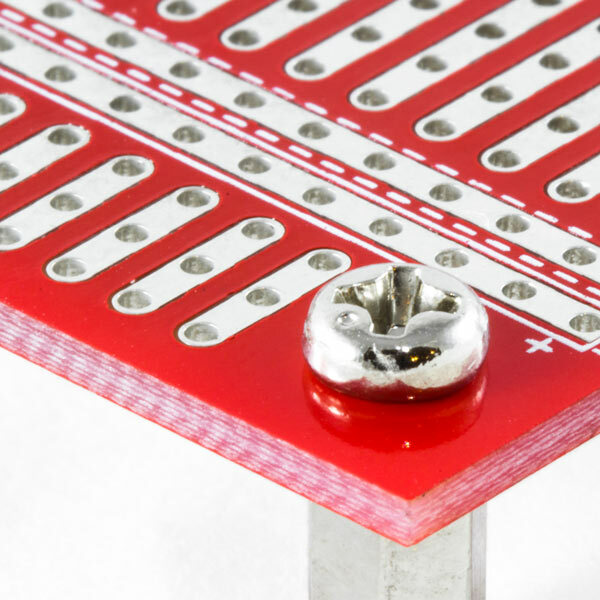 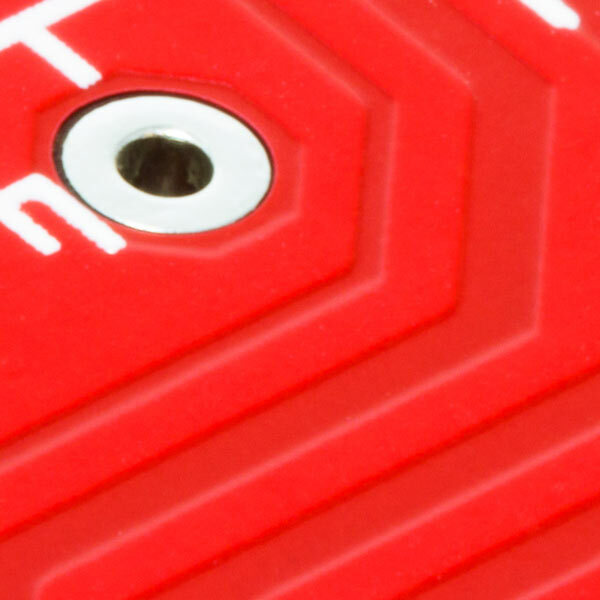 On one edge of the board there is an area specifically designed to support dual row devices.